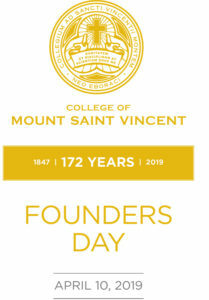 Mount Saint Vincent celebrated Founders Day—the anniversary of the charter that established the academically excellent, authentically inclusive, independent liberal arts college—with campus-wide events and traditions on Wednesday, April 10, 2019. 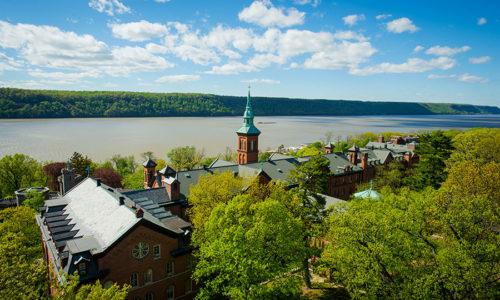 Originally founded as the Academy of Mount Saint Vincent in 1847 by the Sisters of Charity of New York, the Trustees of the University of the State of New York amended the charter in 1911, creating the College of Mount Saint Vincent. In the spirit of Vincent de Paul and Elizabeth Ann Seton, the College upholds its commitment to foster an understanding of our common humanity, a commitment to human dignity, and a full appreciation of our obligations to each other. Covenant House is one of the largest charities across North and Central America serving children, youth, and young families facing homelessness and human trafficking. In 2018 across six countries, Covenant House reached nearly 89,000 young lives. This is especially important as the College partners with Covenant House for its Mott Street Scholarship Program, covering tuition, room and board, fees, books, and insurance for young individuals eager to attend college, but who lack the necessary financial resources and support to get there. At the Mount, these students are finally home.